The perfect light duty air hoist. The JD Neuhaus Mini 125/250/500/1000 line of Air Hoists widens the range of application in the light-duty sector as a handy, flexible and universally deployable hoist – making it an ideal tool for most workshops. 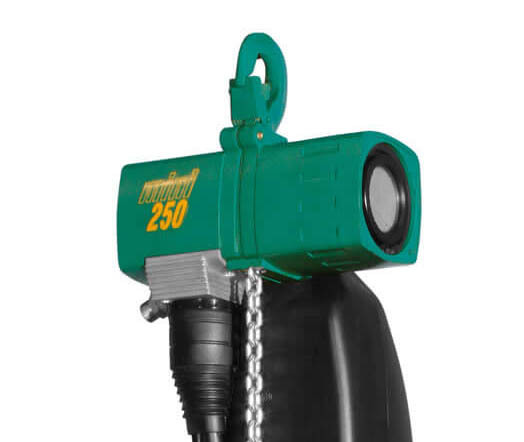 With carrying capacities of 125 kg, 250 kg, 500 kg, and 980 kg, this hoist has a load range specific to your needs. 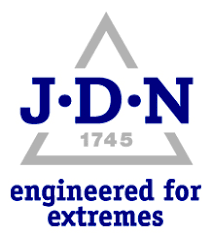 And with its patented motor brake system and robust aluminum housing the JDN Mini consists of only a few components resulting in low and easy maintenance. Also, due to its small headroom and light-weight, the JDN Mini is easy to handle and to move and is suitable for horizontal pulling. Another reason JDN air hoists are a popular choice for our customers is that compressed air power is safer in volatile (potentially explosive) environments. In fact, JDN air-operated Mini hoists are Ex-rated, which makes them suitable for deployment wherever highly volatile liquids or chemicals are transported or stored. JDN equipment also incorporates increased spark protection for use in hazardous areas that are in potentially combustible or explosive atmospheres.